Allegro PCB Design quickly takes simple or complex designs from concept to production in a constraint-driven design system. Its scalable platform allows designers to cost-effectively match the needs of small to large projects. With each technological advance in the electronics industry, PCBs grow increasingly complex and challenging to design. Add globally dispersed design and manufacturing teams to the mix, and the collaboration hurdles make the project difficult at best. PCB Systems Design solutions from Mentor Graphic address these challenges by helping companies meet market demands, facilitate global collaboration, accelerate time-to-market, increase profit margins, and optimize / improve PCB reliability. Complete set of advanced editing features provides the ideal front end for your PCB, ASIC, FPGA or IC design process. In one tool, you get schematic, symbol, and VHDL editors, along with everything you need for top-down hierarchical design, including block creation and hierarchy navigation. Design-wide property editing and viewing integrates layout and simulation in a concurrent board design process that allows engineers and PCB designers to work in parallel, significantly reducing design cycle times. Complete PCB design solution combining schematic definition with powerful layout and simulation tools. The printed circuit board connects together the discrete components, connectors and other hardware that form the physical platform of the design. With increasing component densities, faster signal speeds and transitions, and tighter manufacturing tolerances, successful board design today, more than ever, relies on design systems that unify design definition and physical layout. In Altium Designer our proven strength in board-level system design has been unified at the platform level with support for programmable design within an FPGA environment. This provides a fully unified product development system that can be deployed across all elements of the electronic product design process. Altium Designer’s board-level design capabilities are second to none, and allow you to fully define and implement all physical elements of your design. 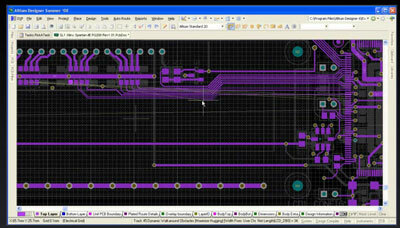 The Cadence® OrCAD® PCB Designer suite contains everything needed to take a PCB design from concept to production with a fully integrated design flow–including design capture, component tools, a PCB editor, an auto/interactive router, an analog simulator, as well as interfaces for manufacturing and mechanical CAD. Lavenir Rout-Master is the Graphical NC Drill and Rout solution to today’s PCB design challenges. Rout-Master automates the optimization of NC data for your drill and routing with the software speed and ease-of-use your shop needs and your customers demand. ViewMate is a free Windows(R)- based Gerber viewer. With ViewMate you can open and view Gerber, ODB++, DPF, HPGL and other PCB file formats. You can view, measure features, and even print your files. Since ViewMate is intended to show the capabilities of the PentaLogix CAM products, ViewMate does not have the ability to save or perform DRC functions. 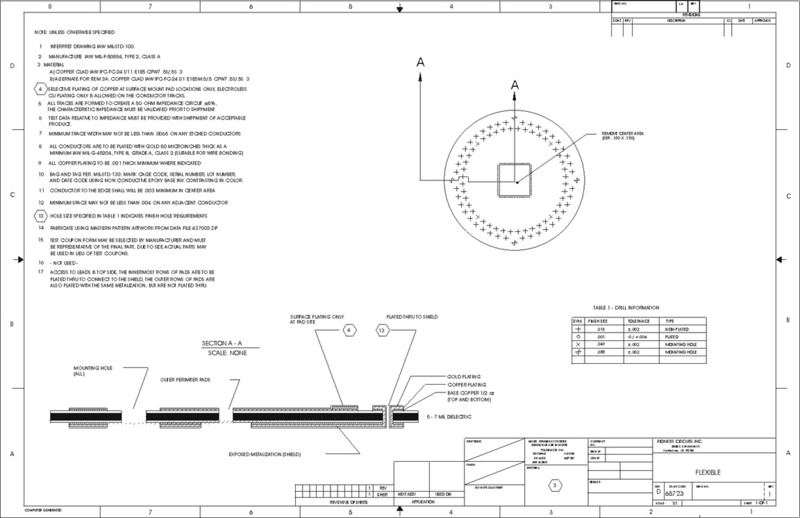 AutoCAD® software lets you design, visualize, and document your ideas clearly and efficiently. With AutoCAD 2009 you’ll move to new highs of productivity. New features help conceptualize and visualize designs, accelerate tasks, and allow commands to be easily found. If you haven’t looked at it in a while, now is the time to check out AutoCAD software. From powerful 3D modeling through robust documentation and visualization tools, AutoCAD 2009 is packed with 2D and 3D CAD functionality to help you shape, expand, and visualize your ideas.